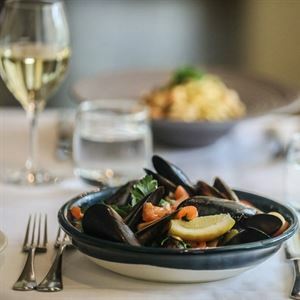 Linguine Tutto Mare: linguine with fresh reef fish, mussels, clams, calamari, tossed with tomato, fresh, garlic and chilli, finished with white wine sauce. 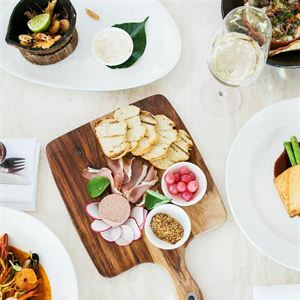 You needn’t speak Italian to understand that bel cibo, in the heart of Port Douglas, stands for good food. 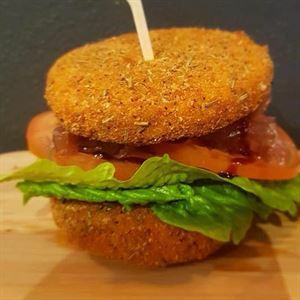 Set at mezzanine level of the ‘Saltwater’ building on Macrossan Street and recently refurbished, this stylish restaurant with linen-clad tables and blond wood chairs spilling out onto an alfresco deck, echoes the relaxed, airy feel of tropical surrounds, that’s at one with the menu. Chef/Owner Andy Gray (formerly of Aria in Sydney and 2 Fish in Port Douglas) creates simple yet intricate dishes, defined by Italian traditions and fresh local produce and seafood. Along with pasta handmade on site, start with a seafood taster plate with sand crab meat and avocado bruschetta, before mains such as veal scaloppine with parsley and Parmesan arancini, green beans and garlic white wine sauce. Exceptional customer service, great tasting food, reasonably priced for great tasting food and not to mention, excellent location. Bel Cibo is great for the family or lunch/diner with friends. I have eaten at most restaurants in Port Douglas, Bel Cibo is definitely my favourite restaurant. Highly recommend to everyone. Dined at bel cibo Port Douglas tonight and what can I say. A fantastic dining experience. The parmarsun and rosemary Italian flat bread and the seafood taster platter between the two of us was a super starter. My liguine aglio with king prawns was superb an my wife had the veal scalopinee which she enjoyed immensely. Shared the flourless chocolate cake for dessert with tea and coffee to top off a great meal. It's not cheap but if you want the good food and excellent service, it's value for money. I would recommend anyone wanting a quality dining experience to give it a try. Absolutely sublime. I am still salivating from the Pappardelle and the baked Italian Meringue was perfect.